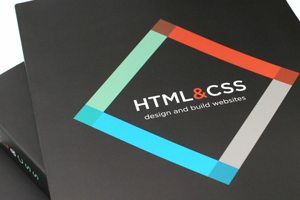 Back in April, we reviewed the best beginner’s web development book that I’ve ever had the pleasure of reading: HTML & CSS by Jon Duckett. This awesome book is not only extremely informative, it’s flat out gorgeous. If you’ve been itching to get your hands on a copy of this book, I’ve got some awesome news for you. This week we’re giving away three copies to our readers. Read on to learn more. Great news! 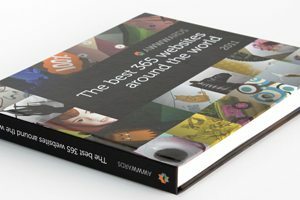 We’ve chosen ten people to win a copy of “The Best 365 Websites Around the World”. Did your comment win? Were you one of the lucky few? Read on to find out! Great news! We’ve chosen three winners, each of which will receive a copy of the Impressionist UI pack. Read on to see if you were one of the lucky entrants who will be downloading your resources soon. 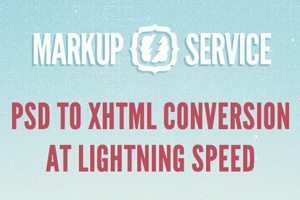 We’re excited to launch a new competition today, giving you the chance to win one of two awesome markup packages, courtesy of Markup Service! It’s a great way to speed up development on time-sensitive projects, and you can be confident that the end result will be of a highly professional standard. Read on to find out how to enter the competition, and get your hands on $300 credit for your own markup requirements! 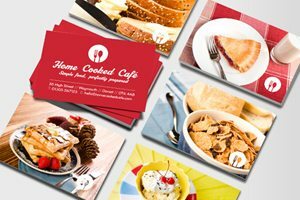 Win a Pack of 100 Free Custom Business Cards From MOO! Great news! We’ve selected our three winners! If you have been selected, you will be contacted shortly with information on how to claim your prize. So watch that inbox, you just might be one of the lucky few. Win a Dell XPS 15z for Designing on the Road! Update: We’ve chosen a winner, and congratulations are in order to Dawn Costen. We’ll be in touch soon to arrange where to send your prize. Thank you to everyone who took part, and be sure to follow us on Twitter to find out when we launch our next competition! I’m excited to let you know that we’re launching another great competition today for our UK readers, giving you the chance to get your hands on a brand new laptop from Dell. The XPS 15z is their thinnest ever notebook – perfect for getting on with some design or development work on the road. Read on to find out how to take part – entering only takes a few seconds! 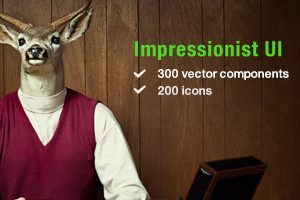 Winners Announced: 4 Copies of the Impressto Web Design Bundle Up for Grabs! Great news! We’ve selected our four winners for the Impressto Web Design Bundle Giveaway! Thanks to everyone who entered, if your name is listed below, you’ll be receiving an email shortly with more information. Didn’t win? You can still pick up a copy of the amazing Impressto Web Bundle here. Thanks for reading Design Shack! We’ve got more giveaways planned soon so be sure to check back often! Win an iPad 2 & One Year of Hosting (Worth £730)! I’m excited to let you know that – in partnership with Heart Internet – we’re kicking off a fantastic competition to win an iPad 2, and one year of free reseller hosting with domain and goMobi! Winner Announced: Win a Free Copy of the Book of CSS3! Congratulations to Chris Domurad (@chrisdomurad), the winner of our competition! You’ll be receiving an email from the publisher shortly with instructions for how to claim your prize. A huge thanks to everyone who entered. Be sure to subscribe and follow us on Twitter, we’ve got a lot of great content coming up, including some more giveaways! Winners Announced: Win One of Two Copies of SG3xpress for WordPress! Congratulations to our two winners, Patrick (@3vilpat) and Alain (@_AlainDupuis), you’ll be receiving a free copy of SG3xpress for WordPress! Keep an eye out for an email from Media Lab with more information for claiming your prize. Everyone else, thanks for participating! Check back soon for more awesome content and great giveaways. Winners Announced: Win One of Five Subscriptions to Hacker Monthly! We have selected our five winners! Each will receive a complementary subscription to Hacker Monthly magazine. If you were one of the lucky five, you should receive an email shortly with more information. Thanks to everyone who entered!